Talking with a friend recently she had an AHA! moment and started digging into her purse. She said she had a number for someone I could talk to about that topic and would share it. She began pulling out wallets and papers and beauty items and ink pens and loose change and fussing about not being able to find it and needing to get that purse together. As I watched I quickly realized I needed to help my friend. I took her purse and pulled everything out then started walking her through the process of making SPACE. I had extra paper clips in my bag and we made quick time of it because she had to go. She thanked me for my help adding she was glad we did it and she felt like she knew where her life was going today because she depended on her purse as a catchall. Guess I hadn’t thought that for some ladies organizing your purse could be the first step to reorganizing your life. In just 15 minutes we were able to go through everything in her bag, setting aside what didn’t belong and bundling what she wanted to keep. 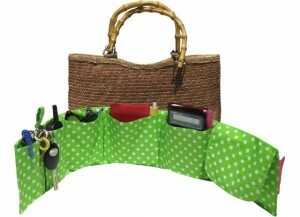 We didn’t find the contact info but we did find a need for a new tool: a purse organizer. I recommended a few to her and have included them along with some additional solutions in the below list. 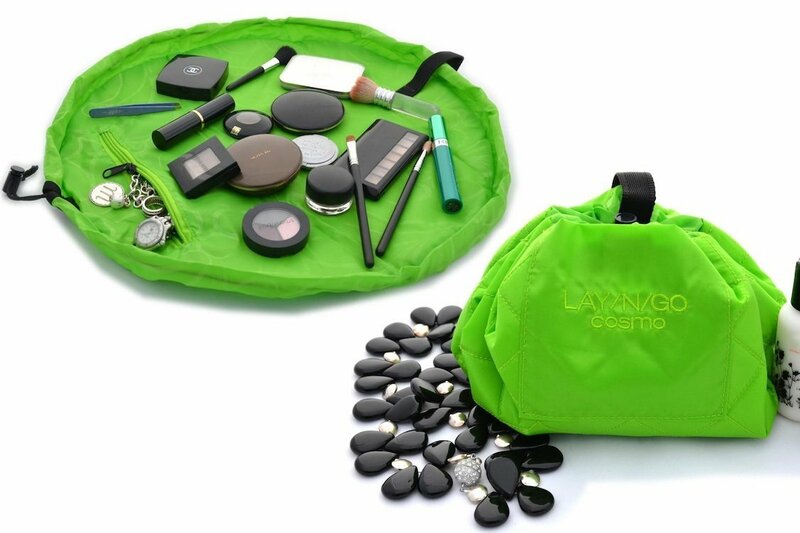 version that will fit easily into your favorite bag. Keep it simple with a wallet on a string. 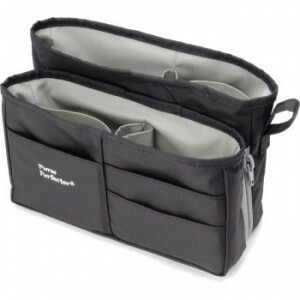 You have limited space to carry items around and they have built in card holders and pockets to streamline your contents. This one can also double as your wallet in a larger bag. gives added options for small items and separating my purse organizer. Removable purse organizers provide the extra compartments when your purse isn’t internally equipped to keep your contents neat. A couple of my favorites are shown here: the Purseket and the Purse Perfector, which I currently carry. Pill organizer having to follow a daily medication nutrition routing. 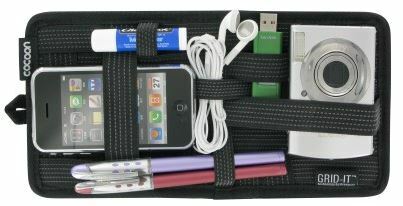 You can try an organizer with a pouch for each day of the week or a hard case labeled for each day. Makeup case: This PurseN bag is great because it has interior dividers to hold your essentials in place and prevent spills. First aid items: can be stored in a clean mint tin or a mini first aid kit. Electronics and small writing supplies: can be stored safely with easy access on a Grid It. There are lots of options to choose from to fit your bag or even be your bag if you want extra items in a tablet or laptop sleeve. Papers: I am seeing a lot of instances where ladies are walking around with receipts, bills, loose notes, etc in their purse. Best thing is to leave bills at home. If you need them for reference in running an errand, carry a manila folder in your car. For notes use a small notepad you can write everything on or make notes in your cell phone. 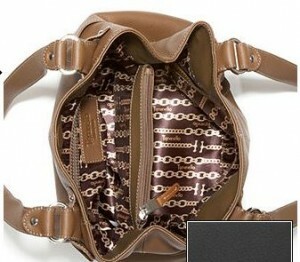 You can take the papers and keep a zipper bag for them in your purse like this one. 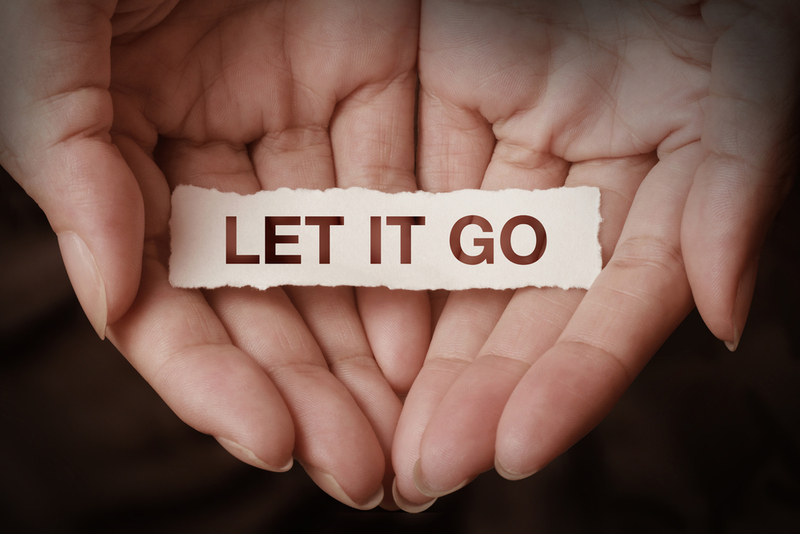 This gives them a designated place that keeps to together until you get home to get them out. No matter what don’t overfill the purse. Make sure there is room for you to see into the bag and your hand won’t get stuck. Also at times you need a little extra space to maybe hold a small umbrella or sunglasses or bottle of water. Hopefully this have given you some ideas on tools to get your purse organized. Don’t forget to maintain your new found order- you can build the habit of doing a weekly clean out or just do it whenever you change bags. 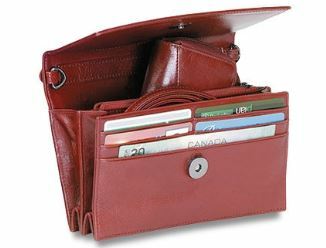 We are all super busy and so much goes on in our lives the condition of the purse as portable assistant can easily get out of hand. 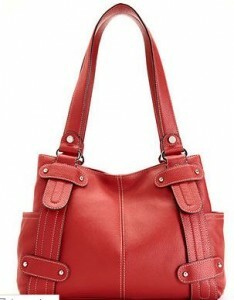 Help your purse help you by keeping it clean and organized.